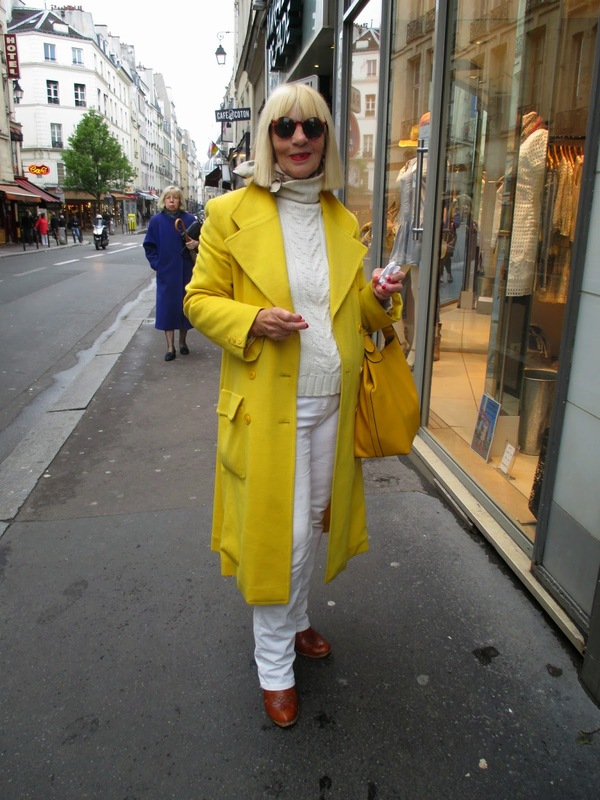 Jamie Cat Callan: Paris Loves Yellow! It's been raining on and off in Paris for the past week, so everyone could you a little sunshine. Perhaps that's why we're seeing so much yellow everywhere! 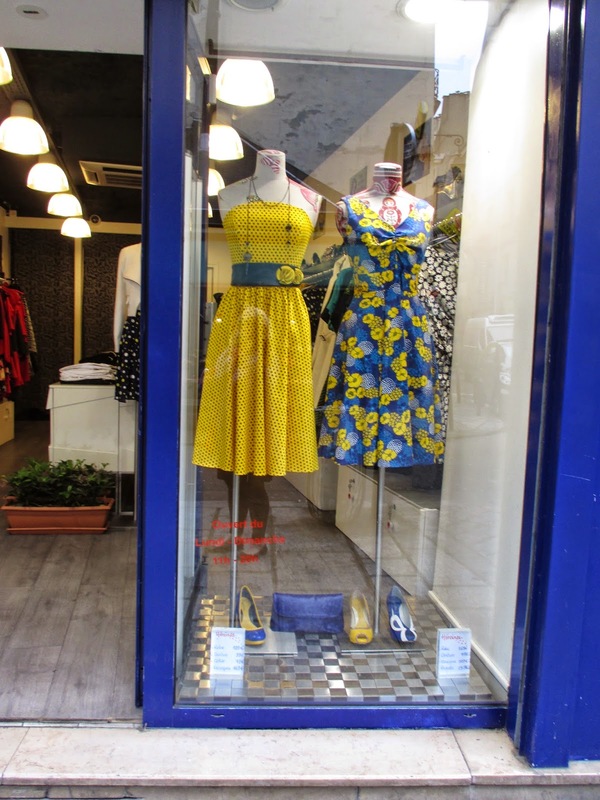 Look at the pretty summery dresses in the windows on rue de Buci. 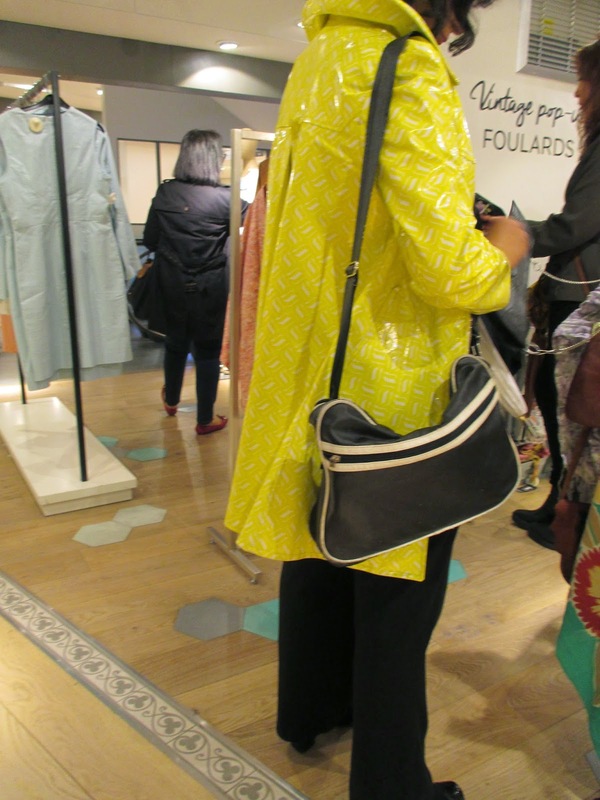 And in Le BHV/Marais, I saw this lady wearing a bright yellow rain slicker. It really brightened up the day. 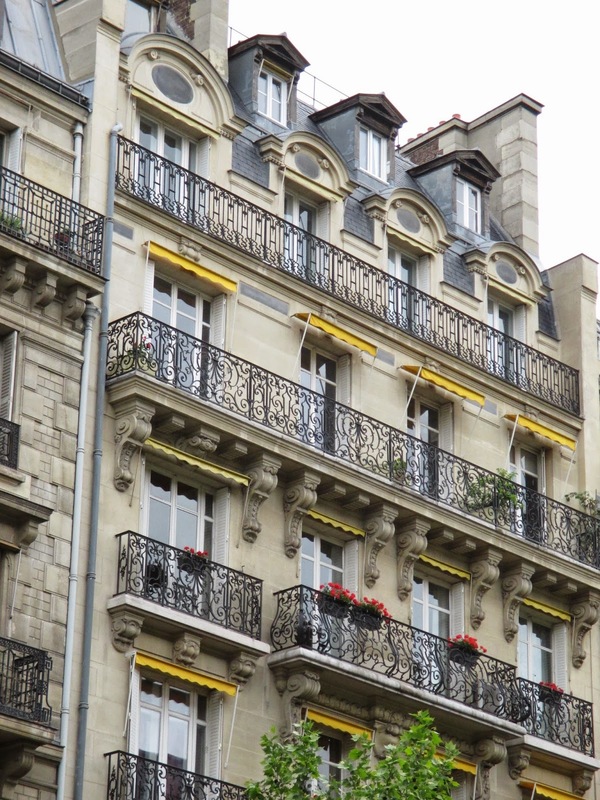 Paris has always loved yellow as an accent color. J'adore these yellow awnings. 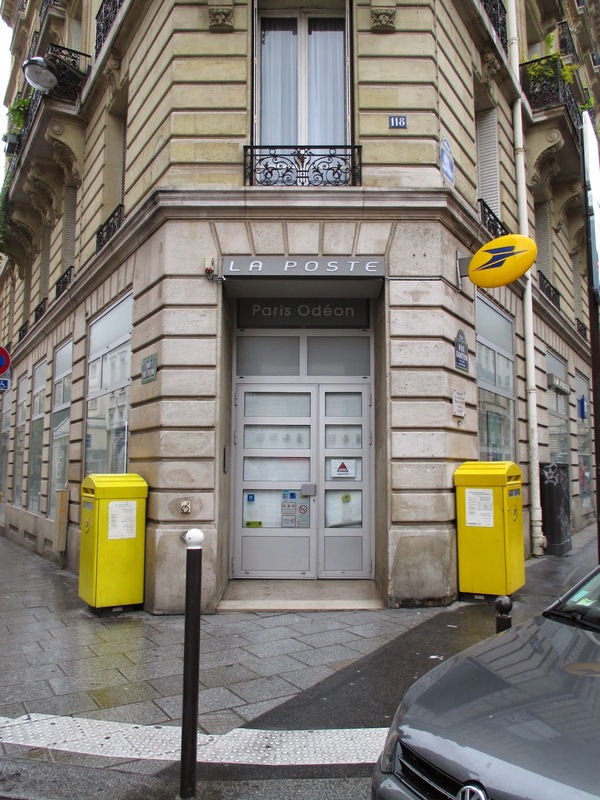 And the French post office has always felt the mellowness of yellow. On rue Mazarine yesterday, I met this gorgeous femme d'un certain age. She is rocking the yellow! Trés chic! Do you like yellow? How do you wear your yellow? I'd love to hear about it, mes amies! Oui, Jaune et bleu, tres bien ensemble.